The Minnesota River joins the Mississippi River near Minneapolis-St. Paul in Minnesota. Elevated suspended solids and nutrients (such as phosphorus and nitrate-nitrogen) in the Minnesota River can contribute to problems downstream. In particular, the following details downstream problems in Lake Pepin and the Gulf of Mexico's Dead Zone. Lake Pepin is a large natural compoundment of the Mississippi River 50 miles downstream from the Twin Cities (boarder of Minnesota and Wisconsin). 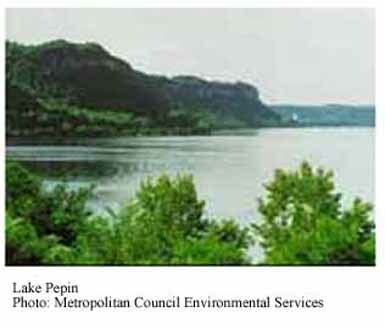 Lake Pepin is experiencing two major problems: (1) increased sediment; and (2) increased phosphorus levels. 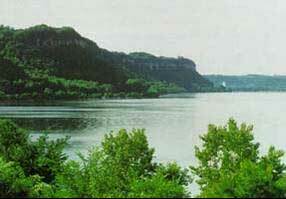 When the Mississippi River enters Lake Pepin, it slows down and drops much of the sand and silt that it is carrying. Research* has shown that the dominant source of sediment comes from the Minnesota River. The likely cause is an increase in row-crop acreage. The result of increased sediment is that the lake is filling in - approximately 17% or nearly 1/5 since 1830. 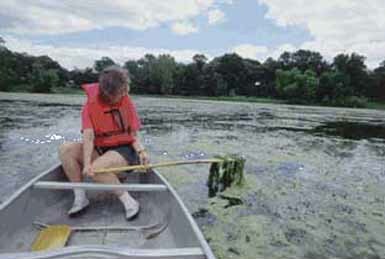 When algae die and decompose, they consume large amounts of oxygen. 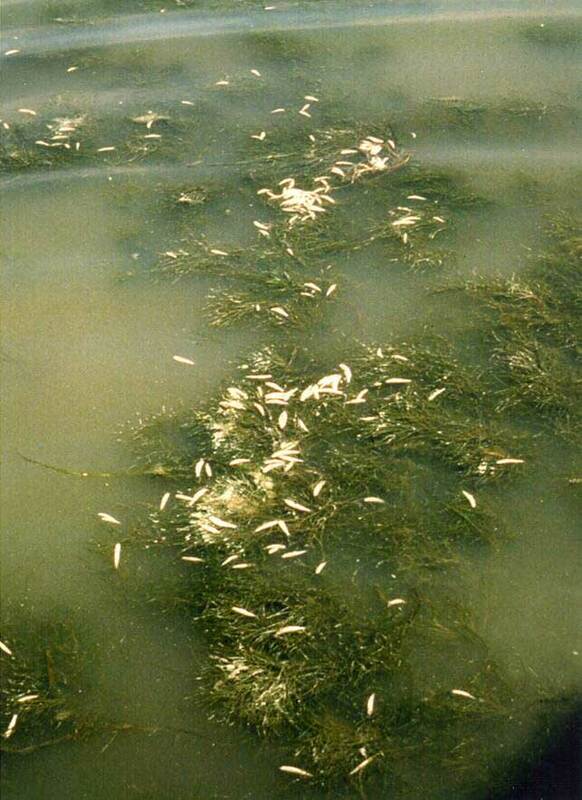 The dissolved oxygen can become critically low causing localized fish kills in Lake Pepin. 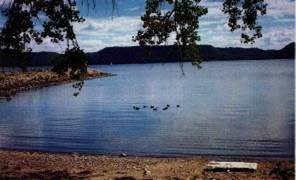 *This summary is based on the Lake Pepin Phosphorus Study: Effects of Phosphorus Loads on the Water Quality of the Upper Mississippi River (link to 2002 Minnesota River Research Forum). When the Mississippi River flows into the Gulf of Mexico, it creates a massive area devoid of marine life called the Dead Zone. A recent map shows this area of low oxygen covering more than 6,000 square miles - an area roughly the size of New Jersey. It stretches from the Mississippi River to Texas. 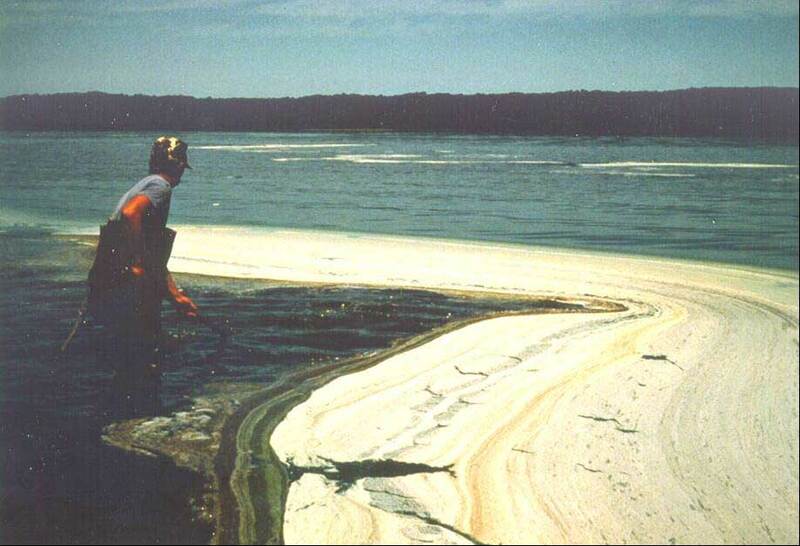 The size of the dead zone has more than doubled in size in the early 1990s. 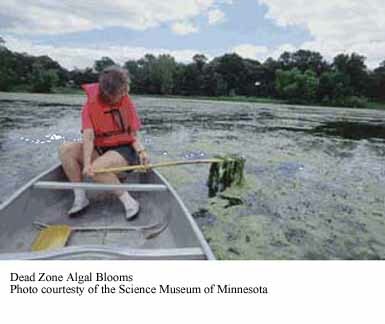 Each summer the nutrients carried by the Mississippi River promote large algal blooms in the Gulf. In particular, excess nitrogen from the Mississippi River contributes to high rates of algae growth, and subsequent oxygen depletion when the algae die and decompose. This oxygen depletion results in an area devoid of marine life called the dead zone. According to the U.S. Geological Survey, annual loads of nitrates discharging into the Mississippi River have nearly tripled in the last 30 years. The Minnesota River has been identified as one of several relatively high contributors of nitrogen into the Mississippi River. Thus, according to the Minnesota Pollution Control Agency, the Minnesota River may be at least partly responsible for this problem.